What happens when you put two epic games like Tomb Raider and Grand Theft Auto together and twist them around by throwing the protagonist 300 years in the past? 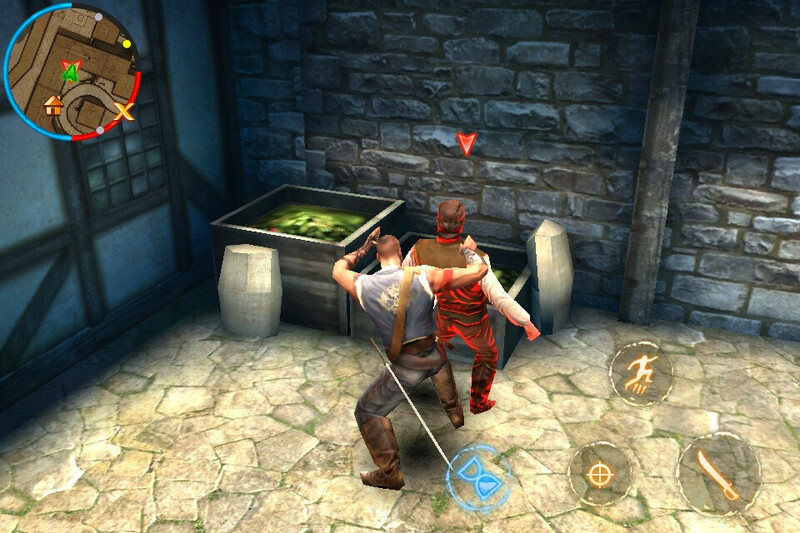 Well, you end up with BackStab – one of Gameloft’s latest mobile video games aimed at fans of the action adventure genre. 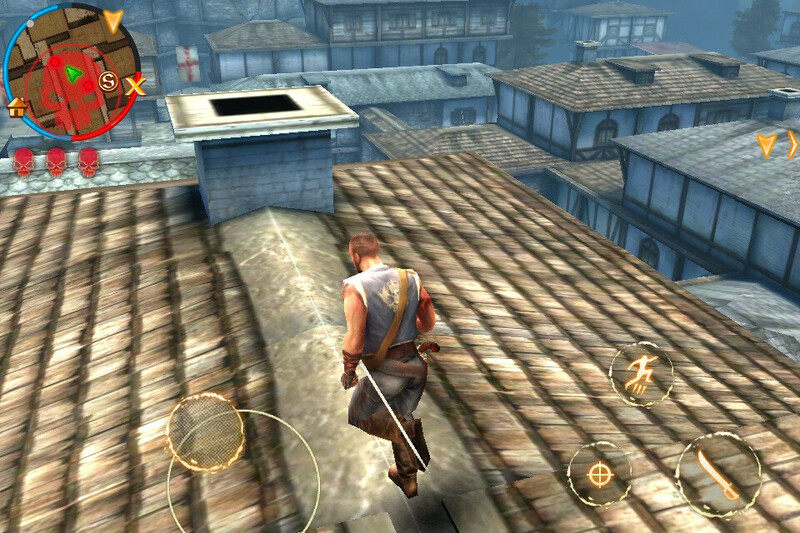 Sword fighting, wall climbing and treasure hunting – they have all been thrown in there topped off with some eye-pleasing graphics, so it seems like there is no way that Gameloft's developers could have possibly messed the game up. Or is there? Let's take BackStab for a spin and see whether it will live on as a timeless classic or will simply fade away unremembered. The story of BackStab is set back in the days when pirates and seafaring were all the rage. We have to give a thumb up to that idea as it has been quite a while since we played a pirate-themed adventure game for the last time. 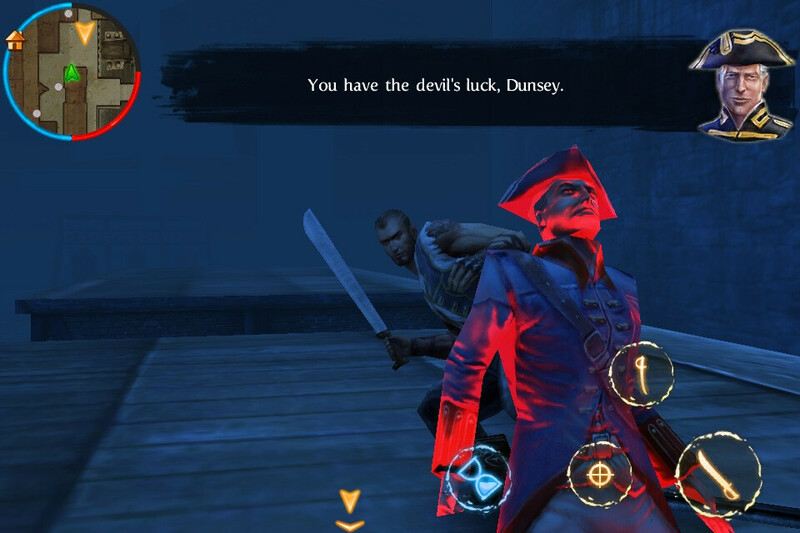 You get to play as a British naval officer by the name of Henry Blake, and your goal is to take him on a journey to have his revenge on the people responsible for the loss of his fiancée. It all sounds good so far, but in all honesty, we didn't find the story of the game to be of any great value so it wasn't long before we simply skipped all cut scenes in order to get more of the action. 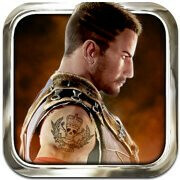 Speaking of action, BackStab is a pretty gory game with blood flying in all directions during every sword battle. Some special moves even go to further extremes so if you have an aversion for violent video games, you may want to pass on this one. 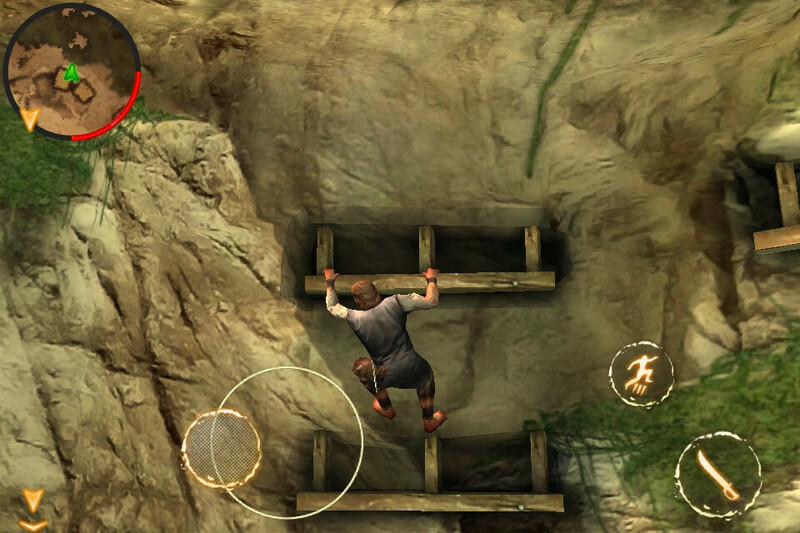 Playing BackStab for the first time got us excited as the game offers some very impressive graphics and realistic character physics (for a smartphone, that is). However, after only a minute of playing we were already struggling with getting a hold of the controls. Moving around and fighting the enemies requires you to be extra careful when using the game's unusually annoying on-screen buttons, but at least arranging them in a way that suits you more might help somewhat. Our disappointment with BackStab does not end here as the game is so easy that a child can beat it. In fact, even after countless hours of playing, the several times we ever died were either the result of a glitch, of which the game has a few to offer, or because of the buggy controls. That being said, buying health potions is pointless as we didn't have to use a single one. One of the things that we liked about BackStab is that its background music and sound effects excel at immersing you in the game's tense atmosphere. It is also nice seeing that the game offers a number of optional quests to undertake along with your main one, which adds some variety to the gameplay. Besides that, BackStab has a good amount of weapons that you can use against your enemies. 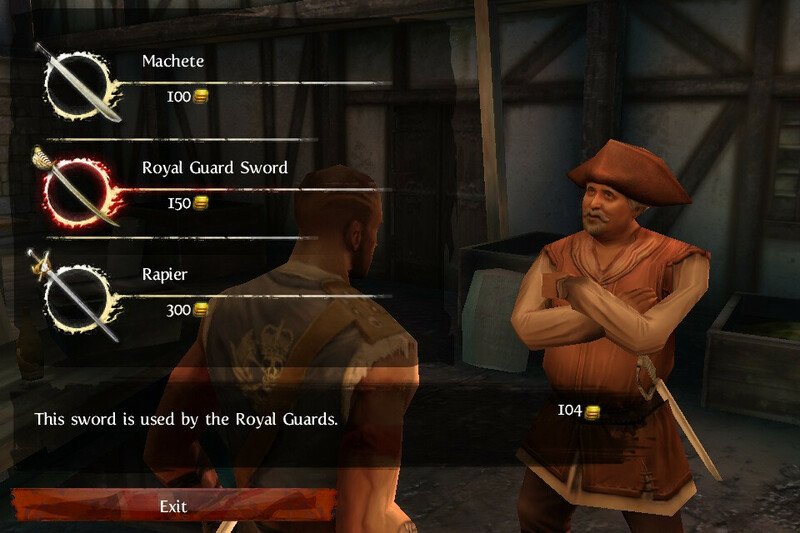 Merchants around towns offer a selection of swords, pistols and grеnades, which you can either purchase or receive after completing a quest. It is also pretty cool that the action takes place across a beautifully rendered exotic island, which is yours to explore. 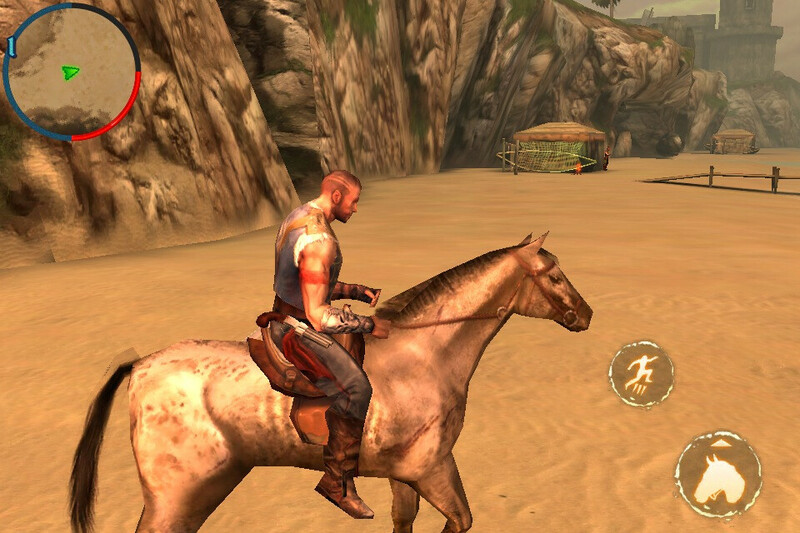 Just hop on a horse and start roaming – you may even bump into a quest or stumble upon a hidden treasure. So, is BackStab worth the $6.99 that it costs at the Apple App Store? Well, do not let the flashy graphics fool you as the game gets somewhat boring and repetitive after a while. Honestly, we were expecting to get more value from such an anticipated title. Just stick with something like Rocket Bunnies, for example, and leave the 3rd person action games to consoles for now.